Are you confused about blood sugar? Watch my 3-minute video for 3 tips to keep yours stable and your energy up! If you’re someone who suffers from that mid-afternoon slump, this is for YOU! Think your salad doused in store-bought dressing is good for you? Think again. In this article, we’ll detail exactly why you should avoid the store-bought stuff, and learn why homemade dressings are better for you and how to make them. The oils used in salad dressings are unstable and are easily oxidized, which translates into free radicals in your body (we don’t want that!). While we often hear that saturated fat is the devil, the devil in disguise is industrial oil like canola oil, soybean oil, and vegetable oil – and these are the oils you get in your store-bought dressings. First the oil is made, which is usually a pretty nasty process to begin with. Check out this video for a peek at how canola oil is made. One of the best ways to get someone to start eating better is to make them realize how tasty healthy food can be. So many people have the idea that healthy food equals “cardboard”, which is absolutely not true! 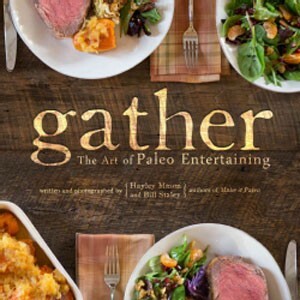 Looking at a book like Gather, you realize how absolutely dead wrong they are. Healthy food can be amazing, and this cookbook shows it. If you want to amaze your friends with truly fantastic food (or just make really awesome food for yourself!) this book is for you. With stunning photos and absolutely delicious recipes, this book is not only a go-to cookbook for entertaining but a coffee table masterpiece as well. I’m excited to be able to share this book with one lucky reader! All you have to do is enter through the app below. This giveaway ends at 11:59 pm EST on August 4th. You look up at the clock from your desk, your sleepy eyes barely able to look up. 3 o’clock. Two or three more hours at work, then home to rush around and make dinner, and then finally, flop on the couch to watch TV. Suddenly, you’ll realize it’s midnight and you’re still glued to the TV with a brain racing a mile a minute. Sound familiar? 1. Eat breakfast. I know there’s a lot of hype around intermittent fasting these days, but if you’re a stressed-out worker bee who is wired at night and fatigued during the day, I suggest you eat a proper breakfast. Fasting activates the HPA axis and raises cortisol (our stress hormone), which isn’t a great idea for someone who is stressed and already having trouble regulating their energy level. A well-balanced breakfast that includes protein, fat, and carbohydrate can set you up for sustained energy much better than fasting. Make sure you eat within 30 minutes or so of waking for the best results. Stress: it’s something we all deal with in one form or another, and it takes a major toll on our health. 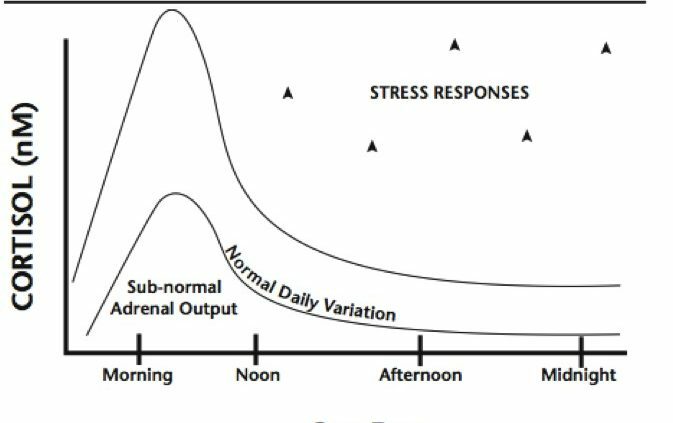 Prolonged stress (or an acute bout of major, major stress) can lead to something called hypoadrenalism or HPA axis dysfunction – more commonly referred to as “adrenal fatigue”. That term gets thrown around a lot, and there are arguments from both sides about whether it exists or not. In my opinion, it exists and it causes a lot of people to suffer. However, it can be induced by our own doing – for example, being too low carb (or being too low carb while exercising a lot) can really tax the adrenals and eventually lead to hypoadrenalism. Hypoadrenalism can also obviously be caused by excessive stress that we do nothing to combat. This article will focus on the causes of HPA axis dysfunction (adrenal fatigue), and exactly what you can do to heal. In the earlier stages of adrenal fatigue, you may also have trouble sleeping at night. Whenever I start working with a client, I always tell them to keep a food and symptom diary. It’s one of the most important tools to use when we’re trying to figure out possible food sensitivities, as well as instrumental in losing weight and keeping it off. In fact, it’s been shown that those who keep a food journal at least 6 days a week lose (on average) twice as much weight as those who don’t (1). In my experience, a combination of a paleo elimination diet with keeping a food journal provides the best results in terms of finding hidden food sensitivities. For these reasons, I think keeping track of your intake with a journal is one of the best things you can do for your health. 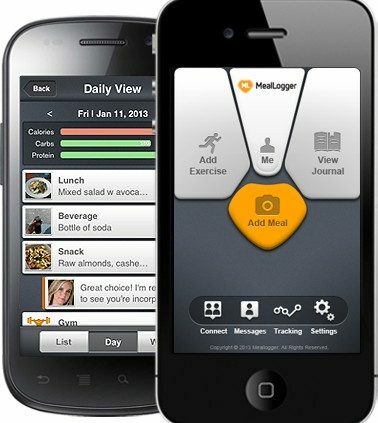 What App Should I Use to Keep Track of My Food? I’m always experimenting with new phone apps for this purpose because I find that they are the easiest way to keep track of my intake. I’ve tried the usual ones like MyFitnessPal, but they are time-consuming (if you’ve ever tried this app, I’m sure you’ll say the same!) and too calorie-focused. 2. Amylu Andouille Chicken Sausage or Aidell’s Chicken and Apple Sausage – no bad ingredients, and really yummy! Of course not pastured or organic chicken, but pretty good. 3. LOTS of lamb – they had lamb roasts, ribs, and lamb osso bucco (which I tried and loved!). From New Zealand. They also had whole lambs in the freezer section for 3.39/lb. I honestly wouldn’t know what to do with it, but it was pretty cool nonetheless. 4. Wild-caught fish – they definitely had salmon and cod, can’t remember now if there were others! I thought I would link to this post all about butter from weheartastoria.com (if you live in Astoria and haven’t checked out this blog – do so! They’re a great resource for the neighborhood!). You might be able to find these butters elsewhere (I know Kerrygold is sold far and wide, of course) but for those in the area, this is a great guide to finding butter locally! Astoria is a great place for a foodie, and I’m glad to call it home. Now that I’ve tempted you, here is the link for the butter article. Enjoy! Do you have some lingering symptoms that you’d like to kick? Not sure if you’re eating enough or too much carbohydrate? Think FODMAPs might be bothering your gut? I’ve recently decided to add a new option: food log tune-ups! These are email appointments – basically, you send me your food and symptoms log, I’ll take a look and we’ll email about what might be contributing to your issues or keeping you from your goals. First food logs are $40, and any subsequent logs are $25 each. I really hope that having this option allows us to trouble-shoot some minor issues or give you some added support and suggestions. Food log tune-ups are for curre you’d like to make a food log appointment with me, check out my Services page. You can now find me on ChrisKresser.com! I am so thrilled to be a part of the Chris Kresser community! If you’re unfamiliar with Chris’ work, definitely take the time to go through some of his blog posts. He is a wonderful source of information regarding nutrition, and I recommend his work highly! Click here for my post on his site! https://kelseykinney.com/wp-content/uploads/2012/09/You-can-now-find-me-on-ChrisKresser.com_.jpg 140 130 Kelsey Kinney MS, RD http://kelseykinney.com/wp-content/uploads/2016/10/website-.png Kelsey Kinney MS, RD2012-09-27 13:51:242016-11-19 12:32:41You can now find me on ChrisKresser.com!